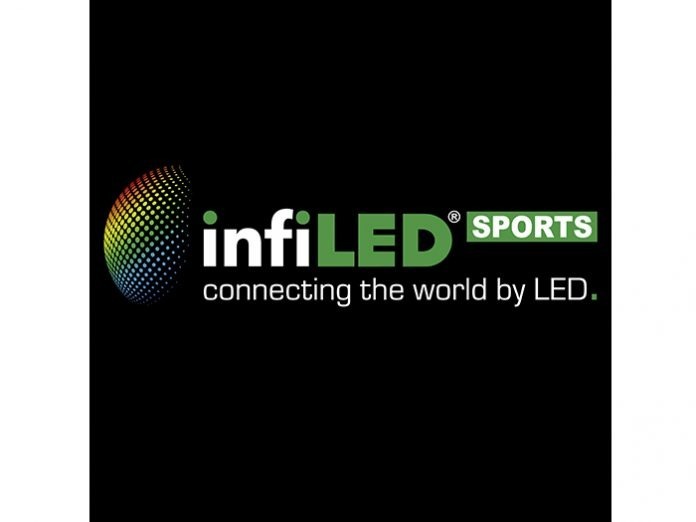 INfiLED EM International, the providers of high quality bespoke LED displays and solutions, today announced the launch of a brand new division, infiLED Sports which strives to bring the best of LED display technology to the sports industry. The new division will offer customers the latest LED solutions, partnered with a wealth of knowledge in high-level sports management to bring a unique value proposition to the market. Having already made a global name for themselves in LED specification, including a number of sports installations across Europe in Lulea Ice Hockey Stadium in Sweden, Cardiff Arms Park and Morecambe FC, infiLED Sports will provide the complete solution and endless application possibilities, making it easy to ‘plug and play’. INFiLED Sports will offer a range of exceptional products to the sports market including a customisable scoreboard solution, perimeter advertising in line with UEFA specifications, tailored LED billboards, versatile mini scoreboards and LED trailers. These solutions will include all software and hardware required for the system to be fully operational, with a range of features and functionality. INFiLED Sports boasts a team of accredited engineers who can offer a rapid regional response with either site visits or remote access to offer customers a full turnkey solution. Ben Da Costa, INFiLED EM International’s co-founder and Managing Director, leads the team. With a strong passion for sports, he is driven to design specialist visualisation solutions for football, rugby, netball, ice hockey and general sports stadia. INFiLED Sports General Manager Ed De Lucy will also bring his extensive experience in sports and LED projects from across Europe.